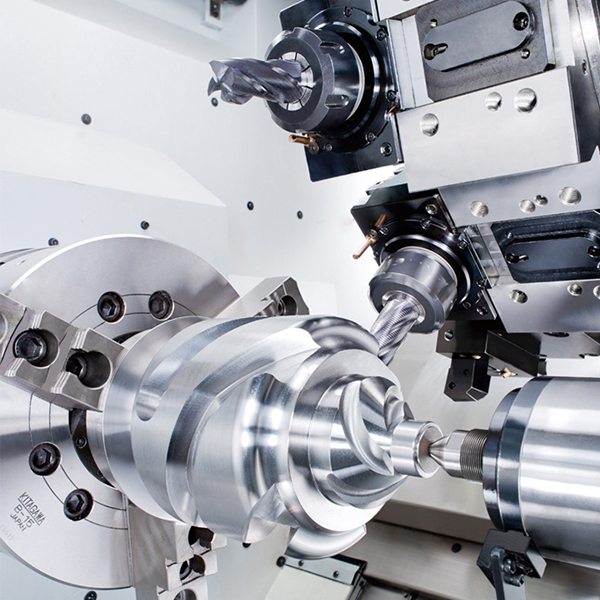 The turning centres of the Goodway GS series combine numerous bed lengths and bar capacities with poweful spindles to create the ultimate turning centres for the new generation. Built to endure many years of rigorous high production turning, the heavily ribbed, one piece thermally balanced bed and casting components are of FC 35 Meehanit casting. This grade cast iron is capable of withstanding much greater stress without deforming and provides maximum vibration dampening, resulting in a machine that will outlast and outperform the competition. Extra wide hardened and ground boxways are directly formed onto the machine bed and saddle during the casting process. They are precision machined and widely spaced for maximum strength. 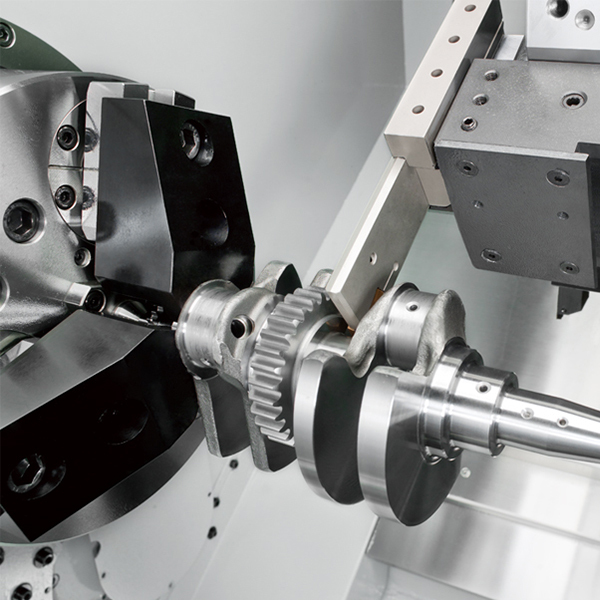 The box way design also provides the rigidity needed for heavy cutting and interrupted turning applications. C3 class hardened and precision ground ball screws ensure the highest accuracy and durability possible. Pretension on all axis minimises thermal distortion. P4 grade (class 7) super high precision bearings are directly assembled for the maximum level of support and precision. Bearing configuration is designed for super heavy duty cutting with ultra smooth performance and long term durability with a higher level of accuracy. The A/C constant output wide range Fanuc Alpha P series motors can generate twice the torque output of standard motors. This double bind motor is designed to reach full output at 1/2 rpm of standard motors, providing the ability to take heavier cuts in the lower rpm ranges. 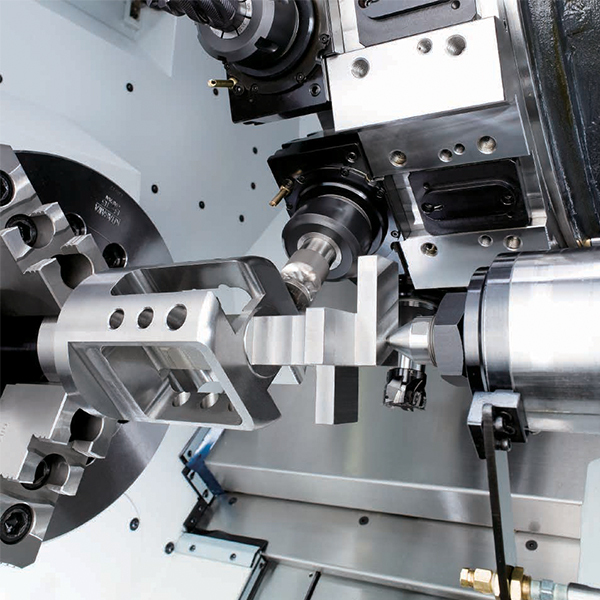 With the optional sub spindle, the working process is 'done in one' from input to output, without having to manually flip over the workpiece, thus increasing productivity and machining accuracy. The B axis movement of the sub spindle is adopted with roller linear guideway design, to provide high rigidity, precision and fast movement performance. 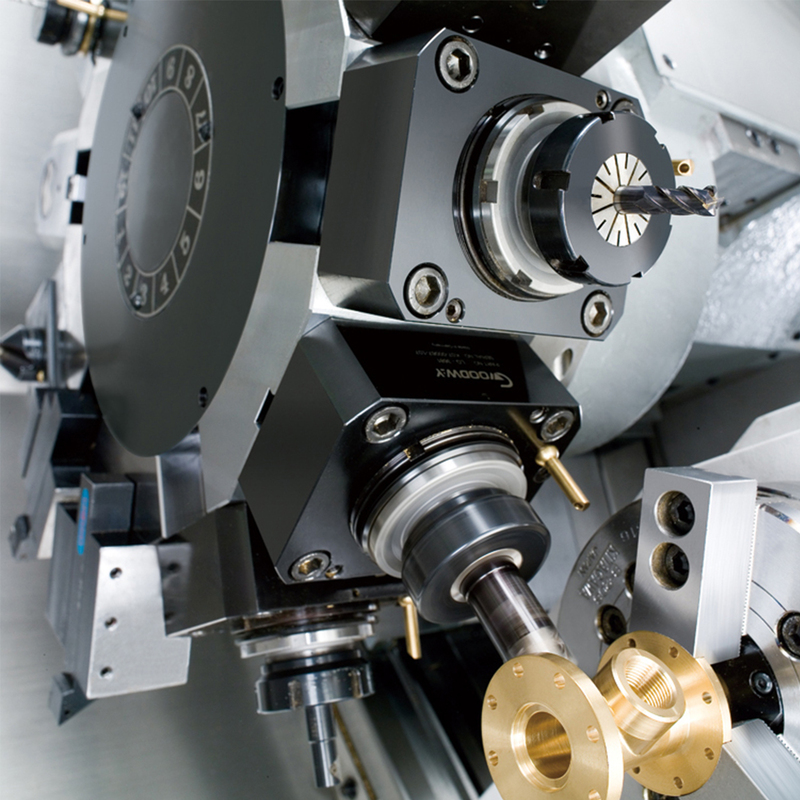 The sub spindle can also be equipped with the C-axis function (same as the main spindle) to allow contour positioning accuracy reach up to 0.001°. 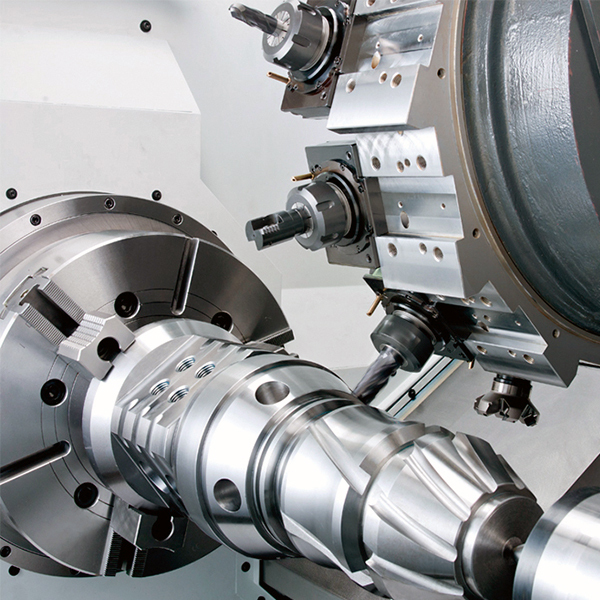 It can accomplish back end milling, drilling and tapping applications when combined with a live tooling turret.